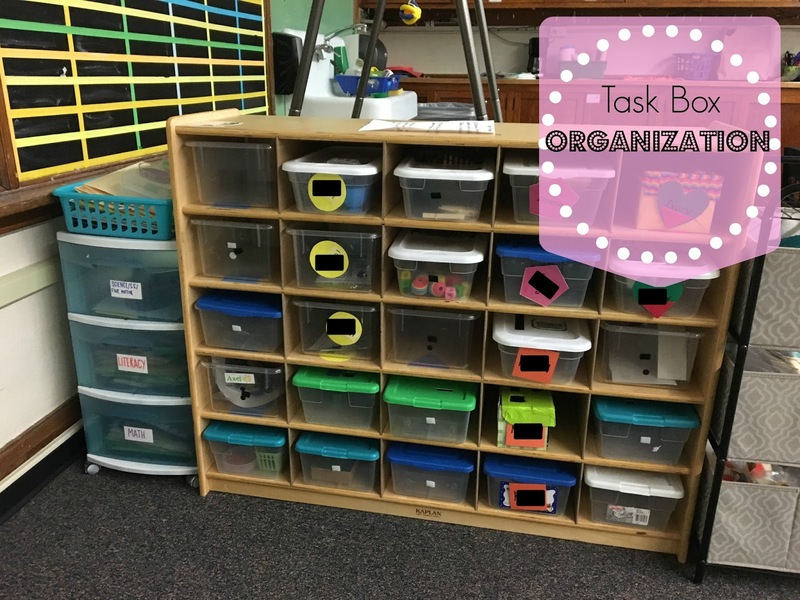 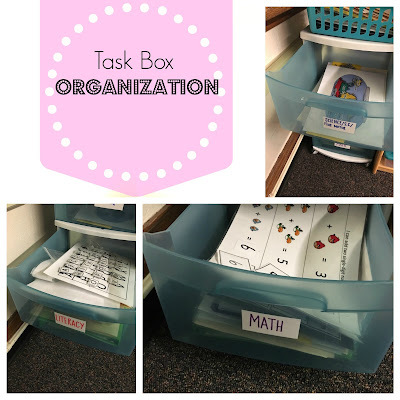 I've had a few comments asking how I organize and switch out my task boxes/ independent work activities. 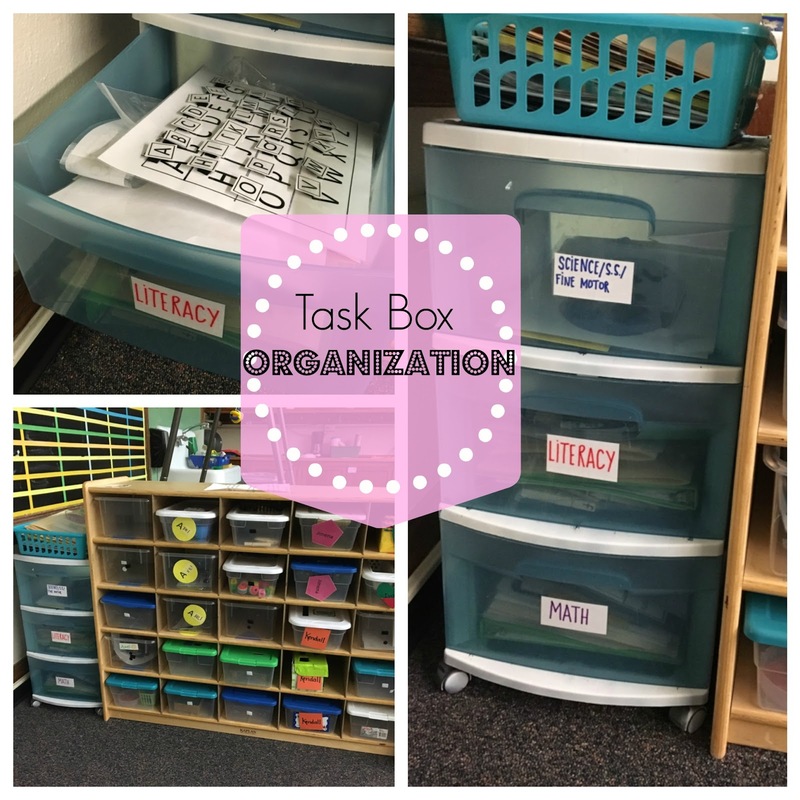 My organization system is super simple- All of the actual task boxes (like the "put in" boxes and others with manipulatives) are stored in their boxes in this storage cabinet. All of the other independent work tasks (like file folders or any paper task) are stored in this plastic storage container that includes 3 drawers/categories- literacy, science/social studies/fine motor, and math. 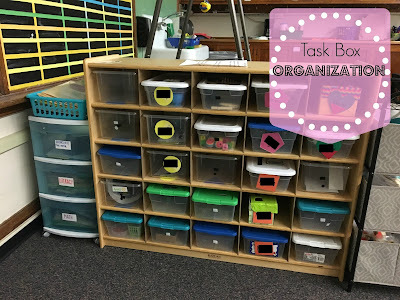 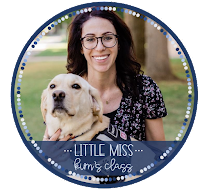 At some point I will probably want to create a system that organizes the activities based on levels, but right now I don't have many students and their levels don't vary too much so it is easy enough to keep the activities organized without a leveled system.